Last Friday, I was given a tiny kitten to care for–for the weekend–but his stay is now indefinite. Sometimes, you just need a kitten, and you didn’t even know it. Hubby would appreciate my finding a home for the baby when he’s older. Meanwhile…I’m getting attached, as are the grandkids and Puppy Cooper. Cooper loves this kitten and frequently checks on it. If the baby mews, he rushes to its box to see if it’s OK, and when I let the tiny toddler explore, Cooper is on its tail. The grandkids are building the kitten a playhouse run out of Amazon boxes with connecting tunnels. Very creative and he has rewarded them by darting through their maze like a hamster. Just between us, I think hubby is destined to have another cat in his life. When I first began Furbaby Friday, it was as a tribute to my dear little dog and best friend, Sadie. Her passing tore me up more than words can express. I still miss her terribly, and tear up thinking about her, but Cooper, Jilly, our farm dog, Luca, and my kitties are a big comfort. Peaches and Cream have been my babies since they were two week old kittens granddaughter Emma found abandoned. Cream was left in a mud puddle, so dirty we couldn’t tell he was a white kitten. He and Peaches are buddy brothers. Funny bird Kitty Pavel is attached to me in his own way. All my furbabies are rescues, and give back so much to me and the family. 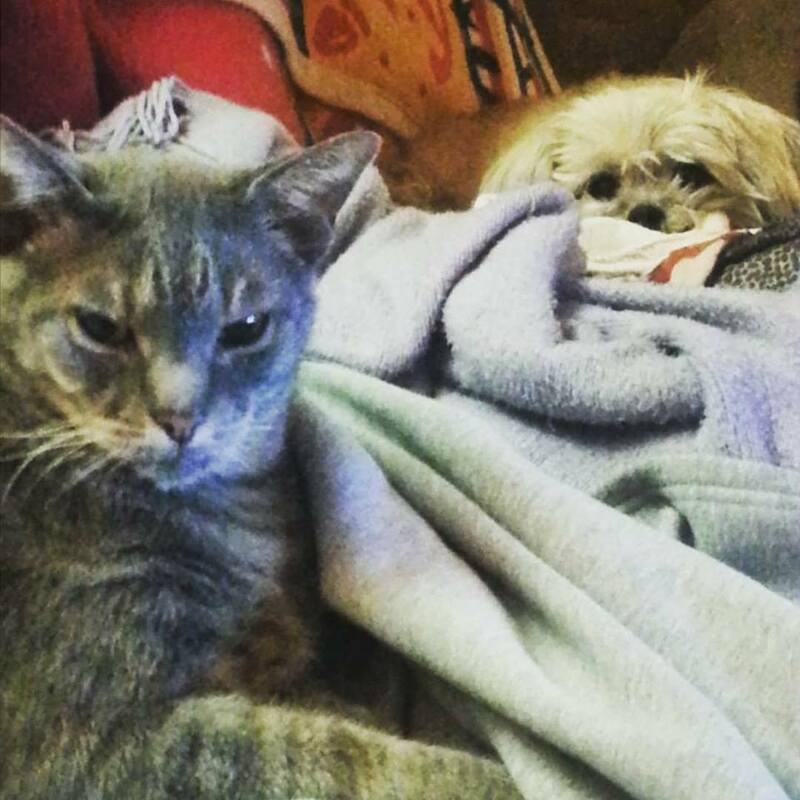 About a week after Sadie crossed the rainbow bridge, Kitty Percy followed her. A very sad time for us all, especially me. This little kitten that has come into our lives looks a lot like Percy did. Percy and Sadie were pals and snoozed on the couch together. They kept me company through many a writing project and the ups and downs of life. I have missed Percy a lot too, and wonder if this new kitty might be like him. You can’t replace a dearly loved furbaby, but newcomers have a way of finding a place in your heart you didn’t even know you had. They create their own warm home in the deepest recesses of our sentiments, maybe even our soul. Those people who do not love furbabies will never understand. Those who do, need no explanation. We know what our furbabies mean to us. Yes, they are a handful to care for at times, but I cannot imagine my life without them. Nor do I wish to. They are my dear friends and an essential part of my life. As of yesterday, the kitten has been named Sparky McGee. I’m happy to have Laurie Ryan here to share her awesome furbaby and contemporary romance. Northern Lights, with us. Hi, everyone! And many thanks to Beth for having me here to chat about our furbaby. My husband and I have been privileged to have some pretty awesome animals during our time together. Three of them, a husky named Taschia, a poodle mix called Puddles (picked that up during potty training and it stuck), and a cat named Screamer (again, appropriately named). 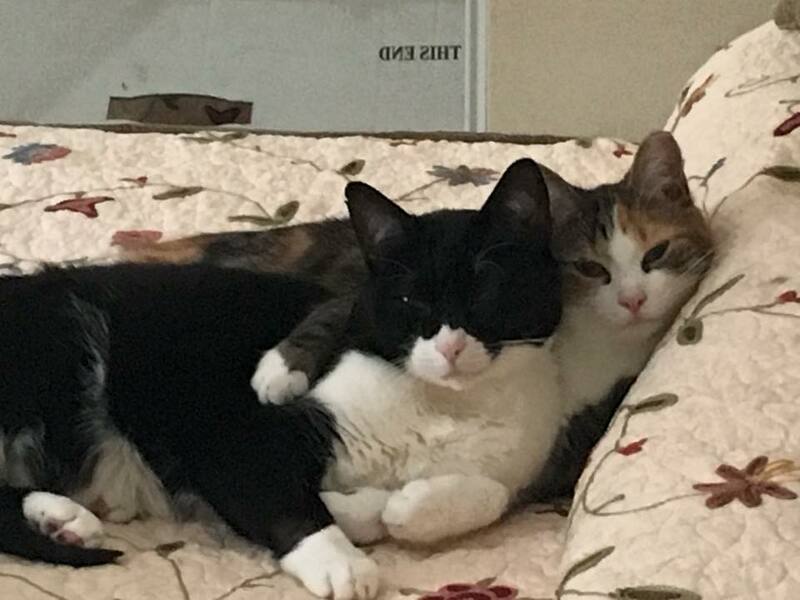 They were raised together and mostly got along. And the year we lost all three of these members of our family was pretty rough. In fact, we went about five years with no pets because of that. By then, though, we couldn’t stand it any longer. We put the word out that we were looking for a cat. Interestingly enough, one came our way within a week. A friend of our son’s called to say she’d rescued a stray. She caught some guys (who will be featured as the villains in one of my books eventually) who were throwing this teeny-tiny kitten up, trying to land it on the roof of a building! She grabbed the frightened kitten and sent the villains packing. 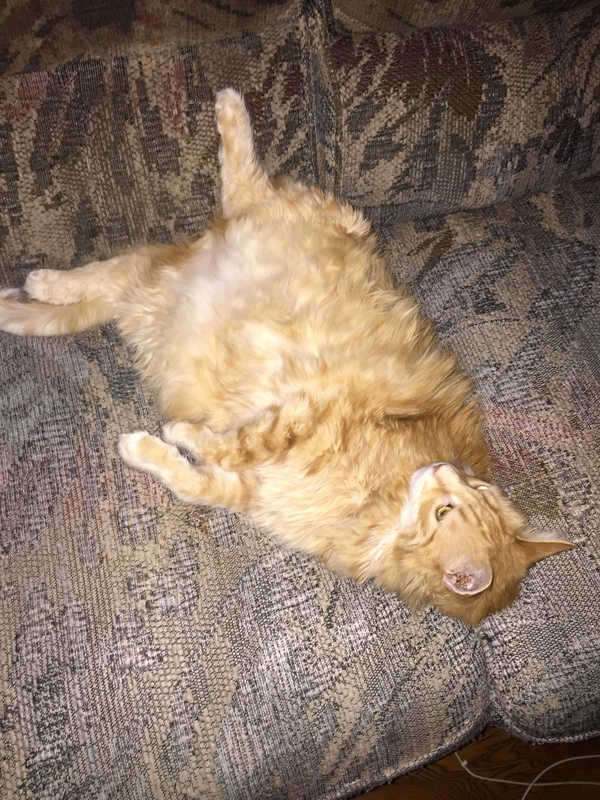 His lazy—I mean, laid back lifestyle is probably why he’s been stable for several years at seventeen pounds. He’s a hefty boy, loves to cuddle under my chin, and watches bird videos on you tube. And he’s brought us so much joy in these last ten years. I can’t imagine life without our Dude. Beth: I love this cat! Finding love in the heart of Alaska. When New York CEO Renzo Gallini shows up with papers saying he owns the waystation Jess lives and breathes for, she laughs in his face. But things get tense when he’s got the paperwork to prove it…and her father, who apparently signed her home away, is nowhere to be found. 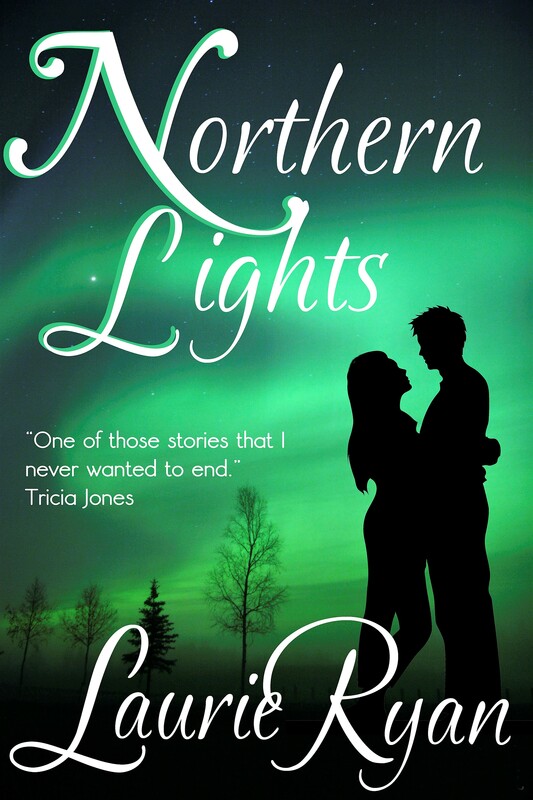 Alaskan native Jess Jenkins has lived most of her life at Last Chance Camp, a man’s world where femininity is relegated to wisps of time behind closed doors. Yet she’s proud of what they’ve built here. Last Chance is all she needs to be happy and no amber-eyed city-boy will convince her otherwise. Ren left New York on his mother’s foolish errand, to turn an Alaskan truck stop into a vacation destination. He finds little of merit in the wide spot in the road until the small community, led by a fiercely loyal tomboy, shows him there’s more to Alaska than just ruts in the road. That survival depends not just on good planning, but on each other. And love can be found in places where you least expect it. Laurie Ryan writes fantasy and contemporary romance. Growing up a devoted reader, Laurie Ryan immersed herself in the diverse works of authors like Tolkien and Woodiwiss. She is passionate about every aspect of a book: beginning, middle, and end. She can’t arrive to a movie five minutes late, has never been able to read the end of a book before the beginning, and is a strong believer in reading the book before seeing the movie. Laurie lives in the beautiful Pacific Northwest, in the shadow of Mt. Rainier and a short drive to beach-walking next to the Pacific Ocean, with her handsome, he-can-fix-anything husband and their gray, seventeen-pound cat, Dude. Thanks for stopping by! Please leave Laurie a comment! Furbaby Friday with Elsie Davis! 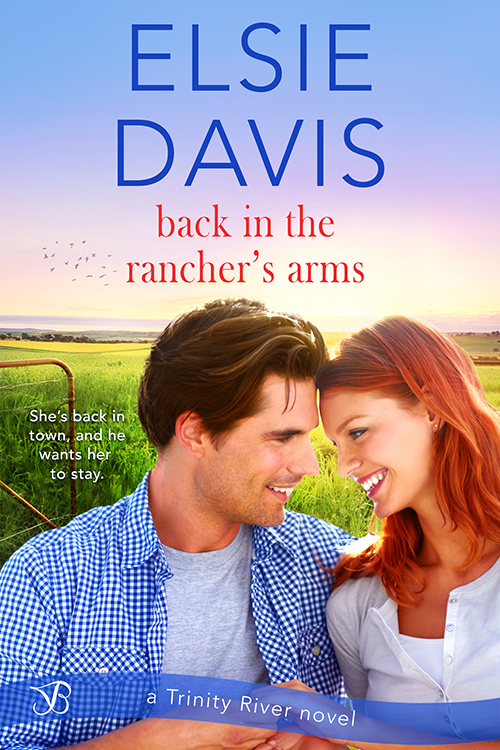 I am happy to welcome Author Elsie Davis to share her beautiful kitties and sweet contemporary romance, Back in the Rancher’s Arms. I’m especially taken with Kitty Hermione. What a gorgeous cat. 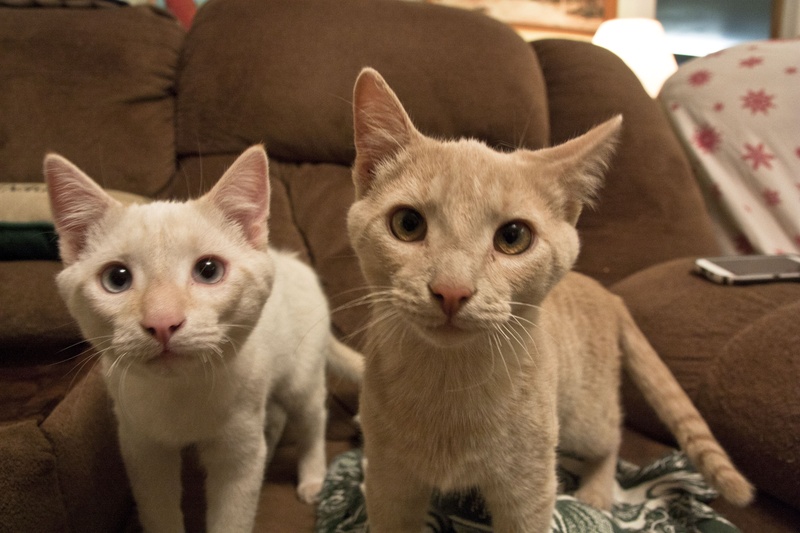 Elsie: Meet Hermione and Draco! 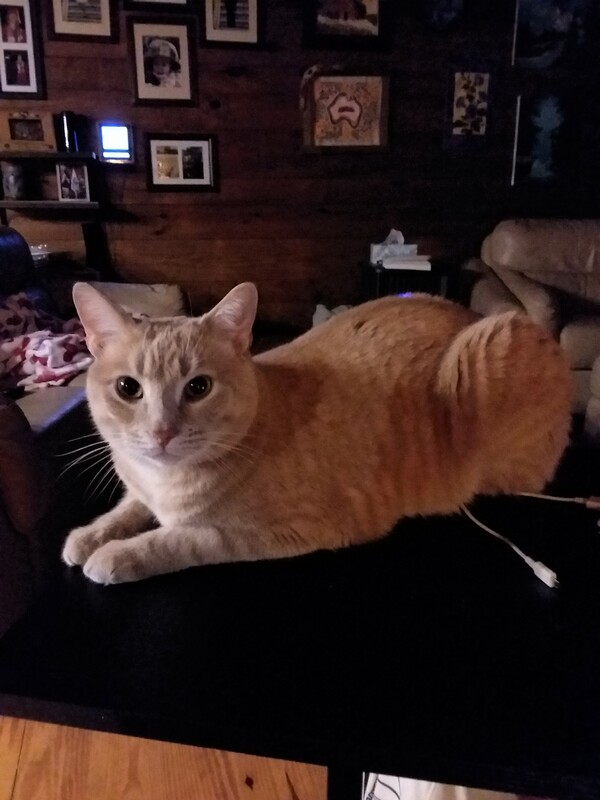 Draco (Mom’s tabby) is her best friend and we have to arrange play dates for the two furbabies to get in their play time or they get whiny just like any other child. They are always together when my mother or I go on vacation, but when we’re home we have to set up play dates because they miss each other. And they make it quite well known. Back in the Rancher’s Arms is a sweet second-chance romance full of twists and turns that keep a reader rooting for Kayla and Dylan to sort out their differences. If you love cowboys and ranches, little brothers, and dogs, you’ll love this story. Just released in April, this is a standalone novel and the first in the Trinity River series. Kayla Anderson’s not prepared to see the guy who broke her heart in high school again, but she can’t get out of returning home to be maid of honor at her cousin’s wedding. She’s determined to have fun and celebrate the special day, despite the fact Dylan is her family’s closest neighbor and the best man, and get the heck out of Dodge. “Is everything okay?” Her mother sounded nervous, and it was unsettling. “The thing is I didn’t know he, I mean he—” Her mother’s gaze shifted to the right, past Kayla. A wave of heat coursed through her veins. Her stomach pitched like it was falling from the top of the Grand Canyon into the deepest part of the ravine. She swung around to face her first love. The man she’d given her virginity to. The man she’d been all too willing to give up her dreams to be with forever. The man who’d ripped her heart to pieces when he walked away and then betrayed her in the worst way possible. He was the man who’d managed to get both her and her ex-best friend, Becky, pregnant. her voice, but the words fell flat. Five years to prepare a scathing remark and none of them surfaced to rip his heart out, to give him a small taste of the pain she’d felt when he walked away. The urge to hurt overrode years of determined effort to forget him and move on. One small setback. She took a deep breath and tried to refocus her energy, to return to the hard-won inner peace she’d carved out for herself. Tall, dark, and better than an Elephant Ear. Nothing puffy about him. Bulging pecs filled his T-shirt and made it look like it came from the boys’ department. Rock-hard triceps stretched the cotton short sleeves to the limit. Jeans that dipped low in the front, weighed down by a large silver buckle with the letter H emblazoned across it. Hunter. A few other H words came to mind. Handsome. Hunk. Hot. The list went on. History. Hurt. Hell. And heartache. Don’t forget the heartache. Elsie Davis discovered the world of Happily-Ever-After romance at the age of twelve when she began avidly reading Barbara Cartland, the Queen of Romance, and has been hooked ever since. After building her dream log home on top of a small mountain, she turned her attention to do what she loves most, writing. An award-winning author and active member of RWA, she writes contemporary romance and romantic suspense. She writes from her heart, hoping to share a little love in a big world. She will never forget the moment of exhilaration when she first got the email offering her a contract for publication. A moment that has repeated itself, and one that keeps her energized and moving forward. Indoors, she enjoys a toasty fire, a glass of red wine, and of course, a great romance with a guaranteed Happily-Ever-After. Thanks for stopping by! Please leave Elsie a comment. Furbaby Friday with Ellen Dye! 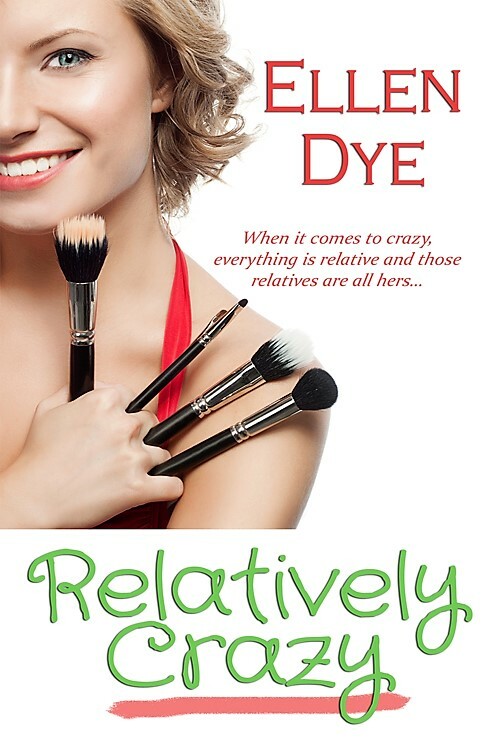 I’m happy to welcome fellow Wild Rose Press Author Ellen Dye–from the next door state of West Virginia–to share her kitty family and latest Women’s Romantic Fiction release, Relatively Crazy. 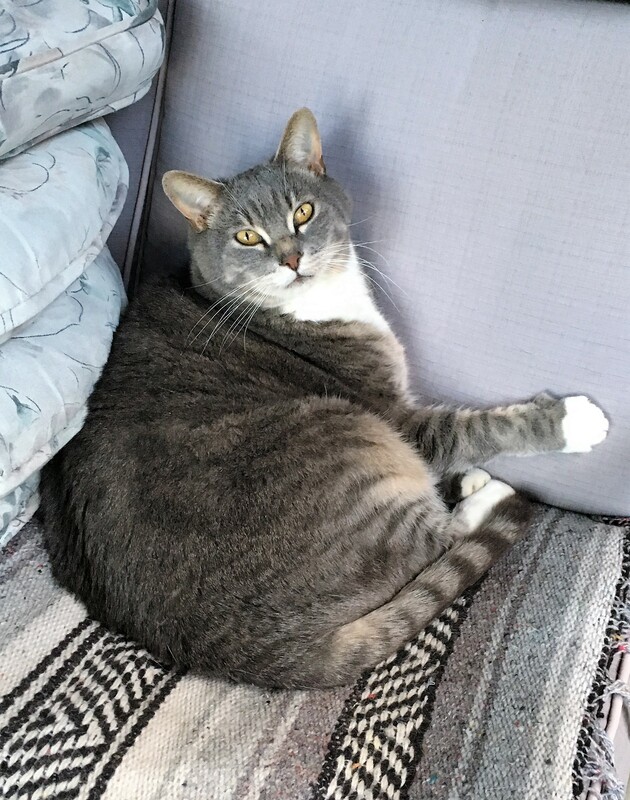 Ellen: Growing up as a true urbanite, living in apartments and moving frequently for my mother’s job, we always had a kitty or two in our family who faithfully made the move with us from town to town or state to state. Occasionally a stray, underfed, lost feline would make its way to us and was always welcomed, fed, loved and made to feel at home. 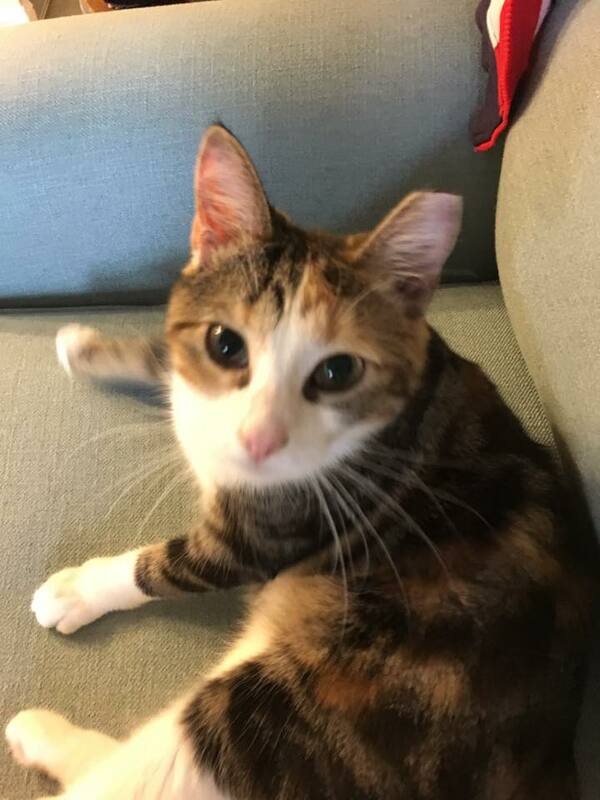 But always there would be a frantic rush to find a new and permanent home for our new arrival before the landlord found out that we were over the allowable amount of kitties firmly agreed upon in our lease. And even though we never failed to find happy accommodations for our new friends I was always sad to have to say goodbye. This is how I knew I wanted to grow up to be a Crazy Cat Lady, even though this was many years before the term was even coined. It became my dream to own a cottage in the woods where limits on kitties allowed would not exist. My childhood girlfriends spent untold hours creating dream homes for their Barbie dolls, imagining comfortable yet spacious living areas for their future husbands and children. I, on the other hand, occupied myself arranging Barbie’s overstuffed furniture topped with paw-pleasing cushions and blankets into groupings I thought would allow for maximum kitty relaxation and calculated necessary paw space required per kitty so I could adjust my cottage-in-the-woods to comfortably house at least a dozen purring family members. Time passed, I traveled, I grew up and then when I was ready to settle down I found my dream cottage in the West Virginia woods. Our family of four kitties and son happily settled in, relishing the peaceful quiet of the woods. Soon enough kitties just seemed to appear on the doorstep, some in need of food and shelter, some in need of medical attention, and all in need of a loving home. True to my childhood dream, I’ve had room—and no landlord to prevent—welcoming each unexpected new arrival into their forever home. On Christmas Eve, this past year my son and I counted six kitties in our little family, five boys and one girl. It had been something of a sad holiday as just a few weeks prior we’d lost our beloved 15 year old elder-kitty, Pewter, who been with us since she was a six week old kitten, to kidney disease. 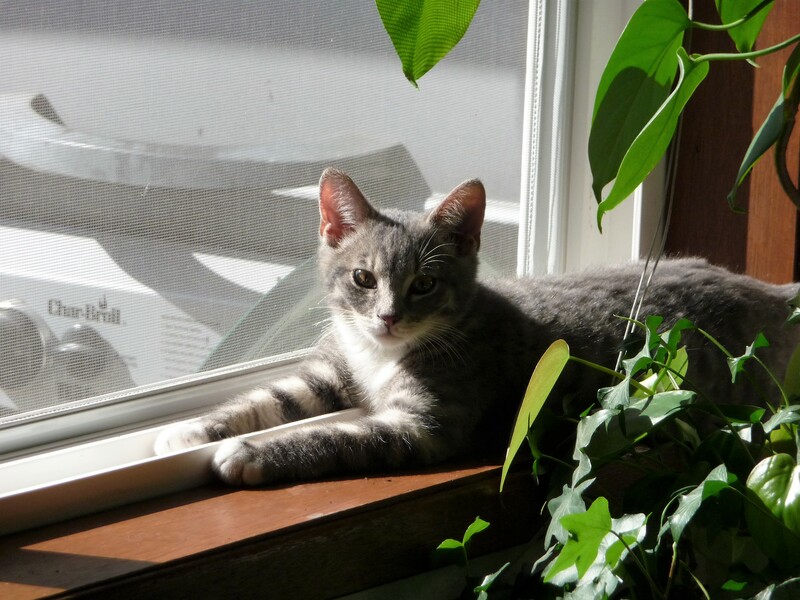 And although we loved each of our kitties dearly, we still missed our silver tabby girl deeply. I turned just in time to see a fluff of gray creeping across the deck between frozen snow piles left from our last storm. Heedless of the cold I hurried outside and saw a heartbreakingly thin, sad puff of dirty gray and white fur crouched between piles of leftover snow. As I crept closer, two frightened green eyes watched me closely. I guess she decided I was a pretty good egg as she let me pick her up, carry her inside to warmth and a bottomless bowl of tuna fish. And she was immediately welcomed to the family with open paws by the rest of our herd. In keeping with her holiday arrival we chose the name, Merry and as it turned out it fits her well. 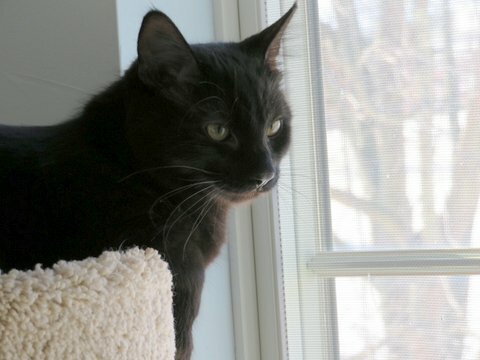 She is a very happy young lady who purrs almost continually and is always ready for a tussle with her favorite catnip mouse or a leap up the scratching post tower for a rollicking game of swat-the-tail with her favorite buddy, Elliot. And now that spring has arrived she enjoys taking a sunbath on the deck, but she doesn’t wander off onto the grass. I think it’s because she’s as happy in her forever home as I am. On her fortieth birthday, housewife Wanda Jo Ashton is expecting her husband’s standard gift of an E and E from T—that being Elegant and Expensive from Tiffany’s. However, what she gets is the news that her formerly successful, dependable, corporate attorney husband is leaving her to pursue the rich life of a kept man. Left with nothing, she has no choice but to escape the San Francisco area with her sixteen-year-old daughter in tow and head toward the mountains of West Virginia and the embarrassingly quirky family she left behind twenty years ago. Here, Wanda Jo must carve out a future, complete with career and home, in the midst of family feuds, computer phobias, and the occasional home-brewing explosion. Only the presence of her daughter and a few good friends, including her old buddy Sam Branson, make life bearable at all. Can it be true that the good life begins at forty? Thanks for stopping by! Please leave Ellen a comment. Furbaby Friday with Merry Farmer! 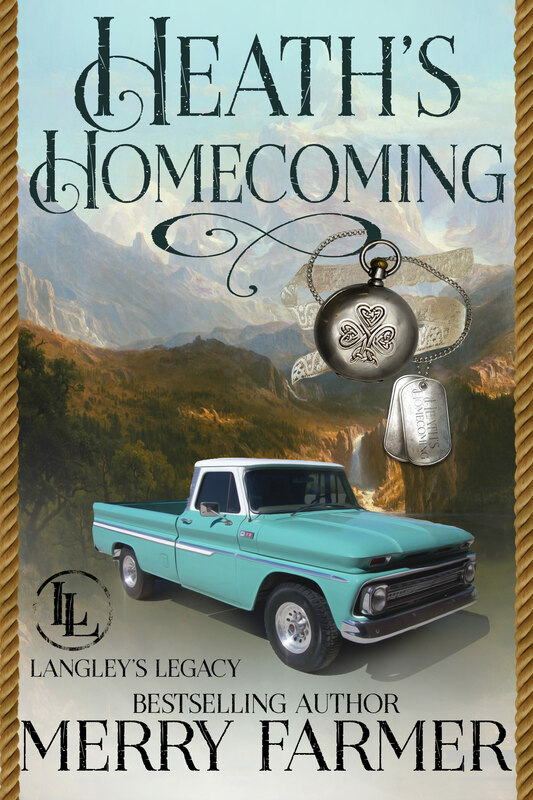 I’m happy to have Merry Farmer here to share her precious kitties and new western romance, Heath’s Homecoming (The Langley Legacy Book 5). 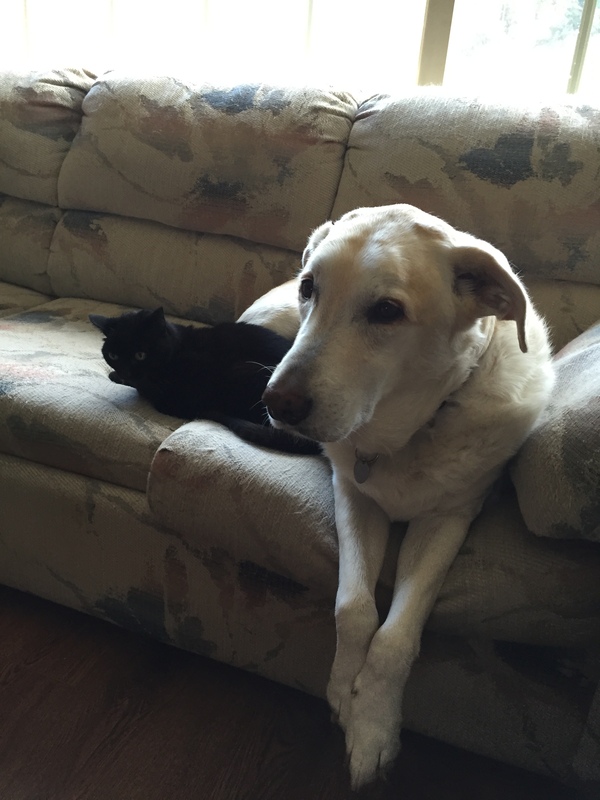 Merry: When Beth asked me to do a Furbaby Friday post for her, I got really excited! Because I will never get tired of talking about the Best Cat in the Entire History of the World, my darling baby, my soulmate, the love of my life, Torpedo. I’ve had Torpedo since the day he was born. In fact, he earned his name partially because he was born during the 2004 Athens Olympics, when I was having a blast watching the swimming rivalry between Ian Thorpe, the “Thorpedo”, and Michael Phelps, but also because he shot right out of his mom (a cat I had rescued from a coworker who was going to have her put to sleep because she wasn’t a cute kitten anymore!!!) and into my lap. I touched Torpedo before his mom did, and we’ve been bonded ever since. Torpedo had a sister, Butterfly (who, incidentally, was actually named after Michael Phelps. But “Michael Phelps” is not a good name for a girl cat, so, since he’d won the 400m butterfly the day they were born, “Butterfly” it was). I was originally going to give Butterfly away, but the people who said they wanted her never came to get her. So I kept both baby kittens. They moved with me from Alabama back to my home in the Philadelphia area, and through three other moves in the last few years. Sadly, in December 2016, Butterfly passed away after a battle with diabetes. And I wasn’t the only one who mourned. I didn’t know this, but cats can go into mourning too. Torpedo was VERY bonded to his sister, and for weeks the two of us moped around, feeling all sad and lost, and clinging to each other. But Torpedo isn’t a solitary kind of cat, so for Christmas that year, I got him a baby, Justine. So now I have my grumpy old man cat and my brand new, high-energy, slightly crazy baby girl cat. Justine LOVES Torpedo. She loves Torpedo way more than she loves me! But Torpedo still loves me to bits. So much so that he HATES it when I go away…for conferences and vacations, or just leaving the house for an hour to go grocery shopping. Heck, Torpedo yells at me if I’m not sitting in the right place in the morning, doing my writing. But I love him. 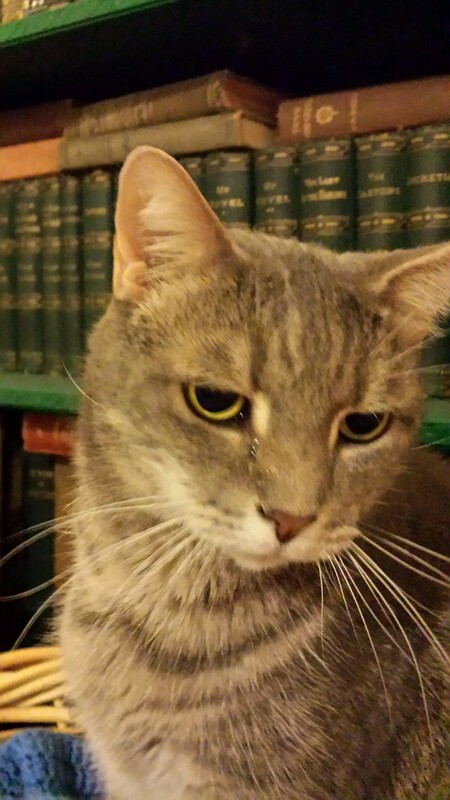 I know cats are not immortal, and I’m not looking forward to the day when Torpedo crosses the Rainbow Bridge to join his sister. But he’s only 14 right now, and since the last two cats I had lived into their 20s, I’m hoping we have a few more years together. I take good care of him…and he takes good care of me. I guess you could say that a “pet” plays a major role in my next release, Heath’s Homecoming, which comes out Friday the 23rd, but is available for pre-order now. It’s the fifth book in a series that traces the same family from when they come to America in 1850 to the present. Heath’s Homecoming takes place in 1968. The hero, Heath, is a returning Vietnam War vet. The heroine, Barbie, has a job running Heath’s father’s ranch. A lot of the conflict surrounds a horse, Daisy, who belonged to Heath and Barbie’s best friend, Davy, who was killed in the war. Here’s a little peek…. They’d walked their horses along the edge of the old barrel racing course that Kathleen had made their dad build years ago. It had been cleaned up a bit since he’d left for the war. The splintering barrels had been replaced by stacks of old car tires, and the course itself was well-maintained. But that didn’t prepare him for the sudden shout from Barbie, or the way Daisy jumped into action, flying toward the course. Heath’s heart shot to his throat as Daisy headed for the first set of barrels. All he could thing about was her bones breaking and the screams that would follow. His imagination mingled them with Davy’s screams and shouts on the battlefield. “Barbie, stop!” he shouted, but she didn’t hear him. Daisy made it around the first barrel and shot off toward the second. Heath stood in his stirrups, heart thundering against his ribs. She would fall. She would be thrown. Daisy would trip and it would all be over. He’d lose another friend. He’d lose Davy’s horse. There’d be nothing he could do about it. Again. He’d be helpless and hopeless, and his world would fall apart. Again. His thoughts spun out of control so hard that it seemed as though he blinked and Daisy was through the course, trotting toward him. Barbie sat, smiling and panting, in the saddle. “No.” Heath gripped his reins hard to keep his hands from shaking. “Don’t ever do that again.” His voice came out rough and hollow. “Why? It’s what Daisy was born to do.” Barbie’s frown held more than frustration. She was studying him. Part of Heath wanted to lean into her, wanted to pull her onto the saddle with him and hold her until his shaking stopped. The rest of him pulsed as though he were in a combat zone. Barbie’s mouth snapped shut and her face flooded with color. She swallowed hard, then stared at him with far more emotion than he wanted to deal with. She knew. He’d slipped up, and she knew him well enough to know that his leg wasn’t the only wound he’d brought home from Vietnam. Thanks for stopping by. Please leave Merry a comment. 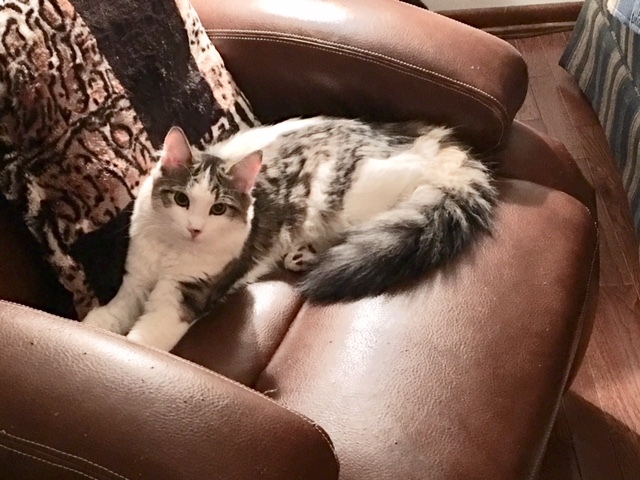 Furbaby Friday with Karen Rose Smith! 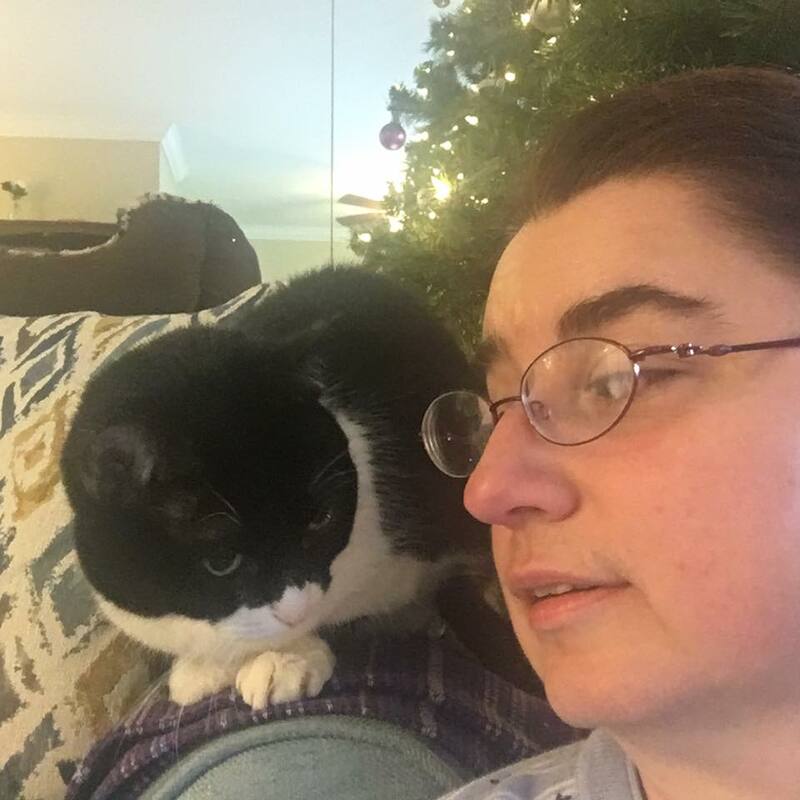 I am pleased to have cat lover, Karen Rose Smith, here to share her kitties and cozy mystery series, Murder with Lemon Tea Cakes Book 1, Daisy’s Tea Garden. 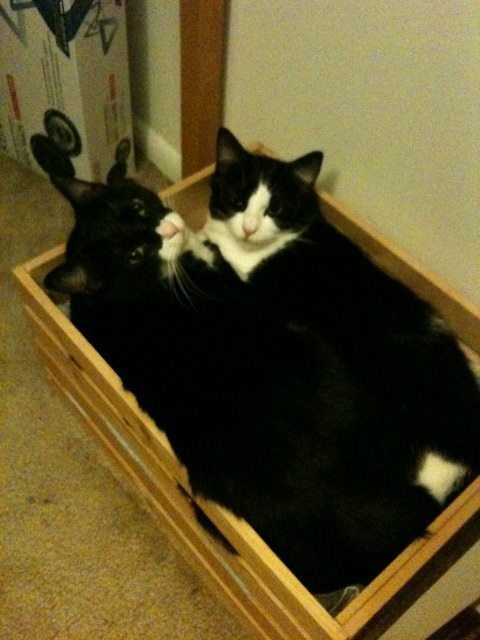 Karen: My husband and I have rescued and adopted five inside cats. Zander and his sister Freya are the youngest. 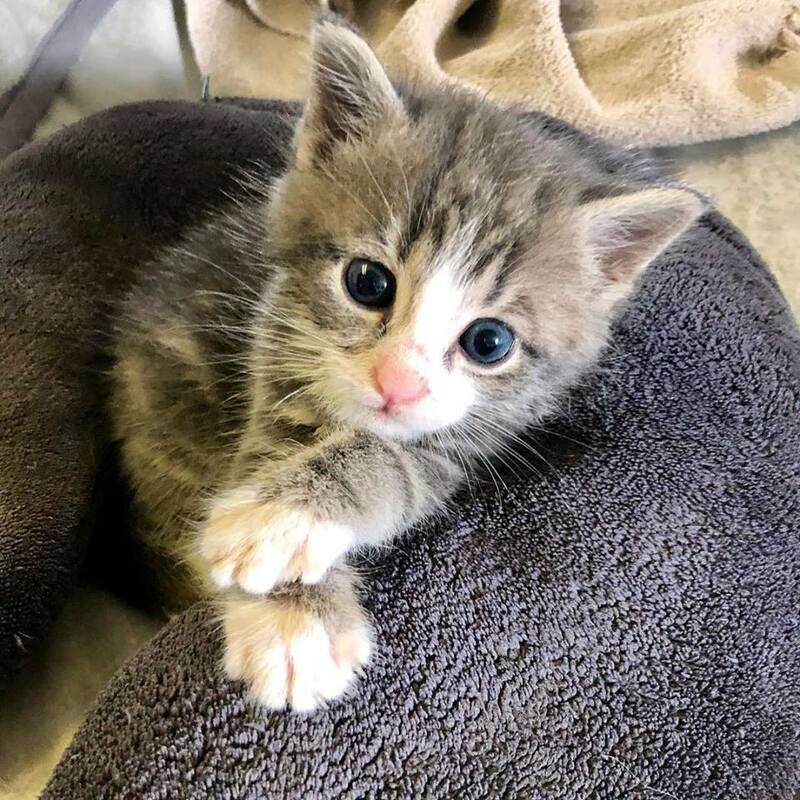 In July, a dear friend found six kittens under a porch. My husband and visited them. That was the mistake! I planned to take one of the kittens—Freya, a little black beauty. But her brother needed a home too and no one seemed to want him. 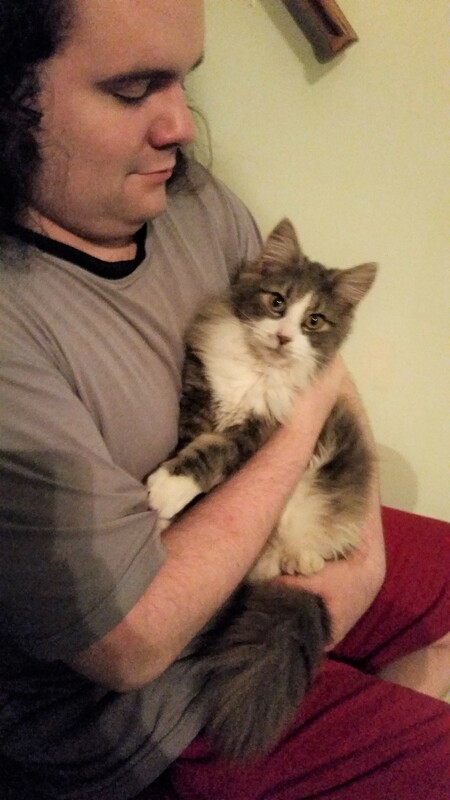 After another visit to the litter, my husband held him and that was that. 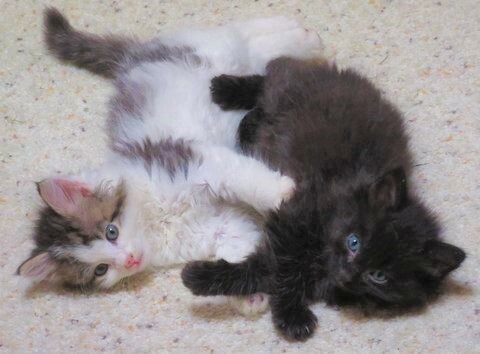 We added these two adorable kittens to our family. Zander is the first male cat I’ve had inside even though I’ve been a cat mom since I was a child. He thinks he’s king of the house and he’s probably right! 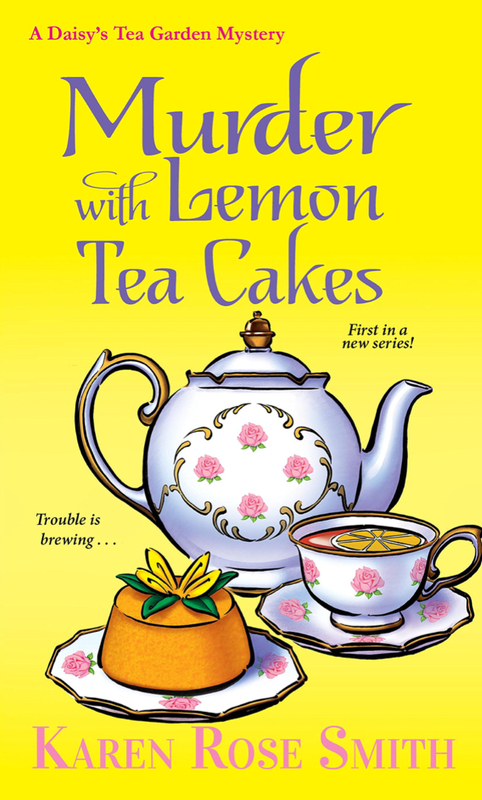 Murder With Lemon Tea Cakes is the first book in my new cozy mystery series, Daisy’s Tea Garden. It’s set in Willow Creek, a fictional town in Lancaster County, Pennsylvania. Daisy, a widowed mom of two teenagers–one at home and one who recently started college–along with her aunt Iris, are the proprietors of Daisy’s Tea Garden. Although Daisy’s aunt is in her golden years, she’s enjoying the company of Harvey Fitz, wealthy CEO of Men’s Trends. (Harvey’s favorite snacks at the tea garden are Lemon Tea Cakes.) The only problem is that Harvey isn’t yet divorced. When Harvey is murdered on the tea garden’s patio, Aunt Iris is the prime suspect. But Daisy soon discovers many residents of Willow Creek are suspects–from Harvey’s soon to be ex-wife, to his children to his business colleagues. “I won’t,” her aunt assured her, gave her hand a squeeze, and then left through the back garden door, carrying her purse and the bag of tea cakes. Daisy had picked up her two-cup vintage teapot with its hand-painted lilac pattern when she heard a blood curdling scream. “Aunt Iris,” she called as she set down the teapot, exited the back door and ran through the garden. USA Today Bestselling Author Karen Rose Smith’s 100th novel is a 2018 release. She writes both cozy mysteries, romance novels and women’s fiction. One of her romances was aired as a TV movie on the UP tv network. Her passion is caring for her five rescued cats. 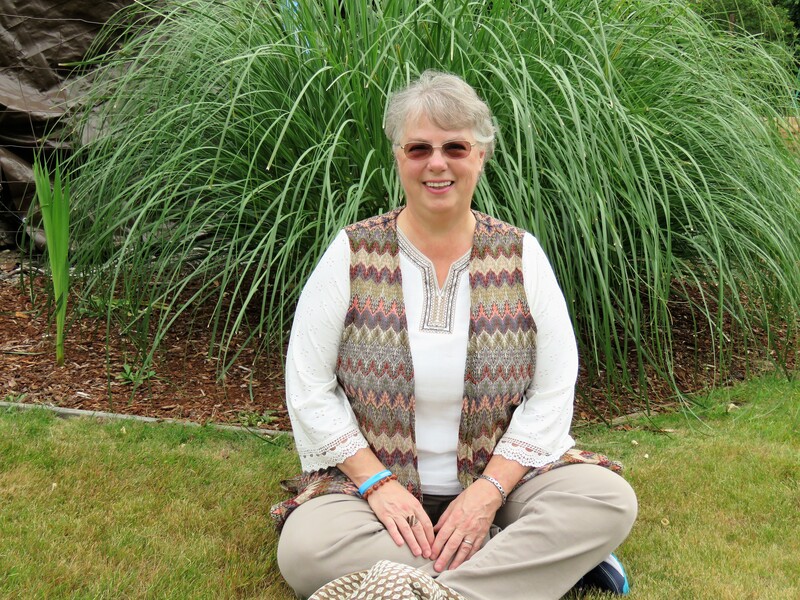 Her hobbies are gardening, cooking, watercolor painting and photography. An only child, Karen delved into books at an early age. Even though she escaped into story worlds, she had many cousins around her on weekends. Families are a strong theme in all of her novels. She’s recently working on her Caprice De Luca Home Staging mystery series as well as her Daisy Tea Garden mystery series. Thanks for stopping by! Please leave Karen a comment. 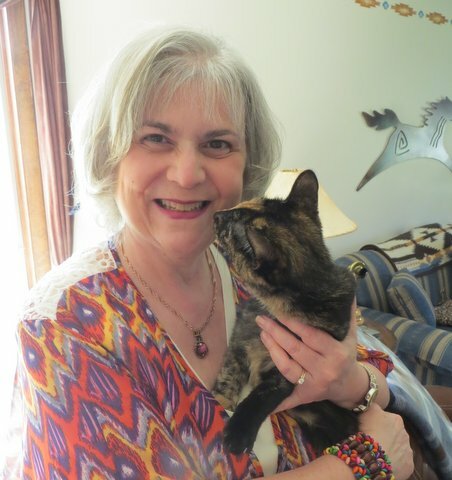 Furbaby Friday with Author Peggy L Henderson! 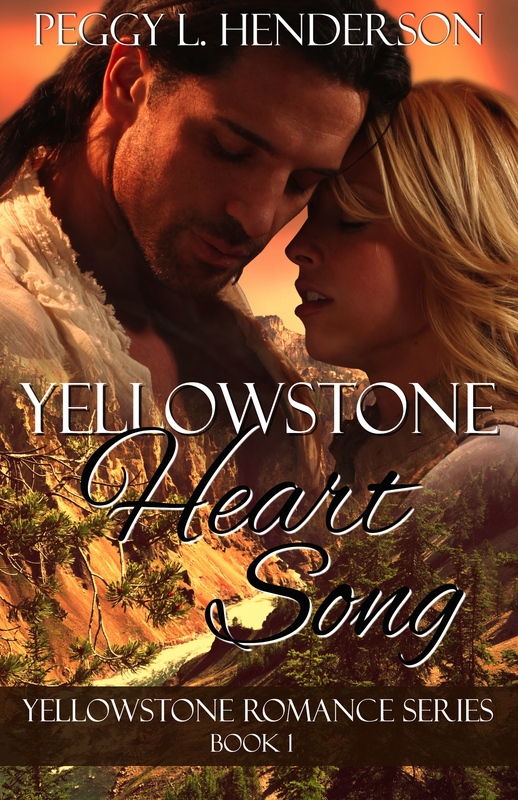 I am happy to welcome Peggy to Furbaby Friday to share her love of animals, her cat, Hissy, and Yellowstone Heart Song from her Yellowstone Romance Series. 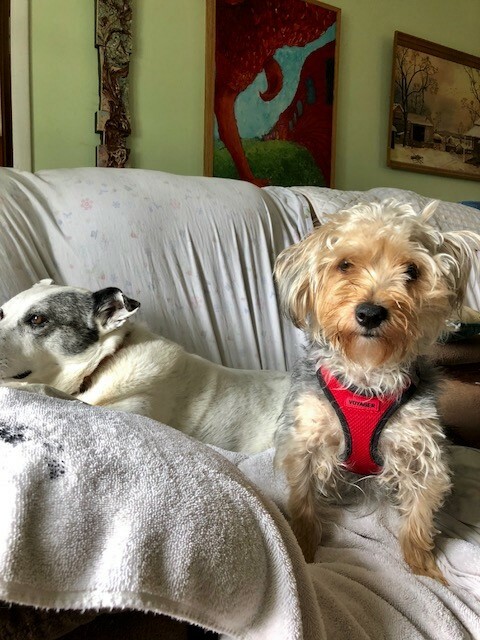 Peggy: Thank you for inviting me to talk about my fur babies today, Beth! Where do I begin? I ‘ve been an animal lover for as long as I can remember. I had mice, hamsters, frogs, rabbits… you name it, when I was little. We tried getting a dog, and also a cat, but for one reason or another, it never worked out that we got to keep them, so I spent a lot of time on my uncle’s farm in rural Germany. I loved hanging out with the chickens, the cows, the horses, and the cats. For as long as I can remember, I wanted to be a veterinarian. Fast forward to when I was a teenager and living in the US. My first job was at age 15, working in an animal hospital’s boarding kennel. From there, I worked my way up to technician, and it’s a job I held all through high school and college. After four years of Animal Science/Pre-Veterinary Medicine, I decided to call it quits on the veterinarian dream. I got married, had a house, started a family, and lived the dream of having lots of animals. I was burned out on school, but I continued to work in the field. After staying home with my kids for their first ten years, my background landed me a job in a veterinary reference lab. 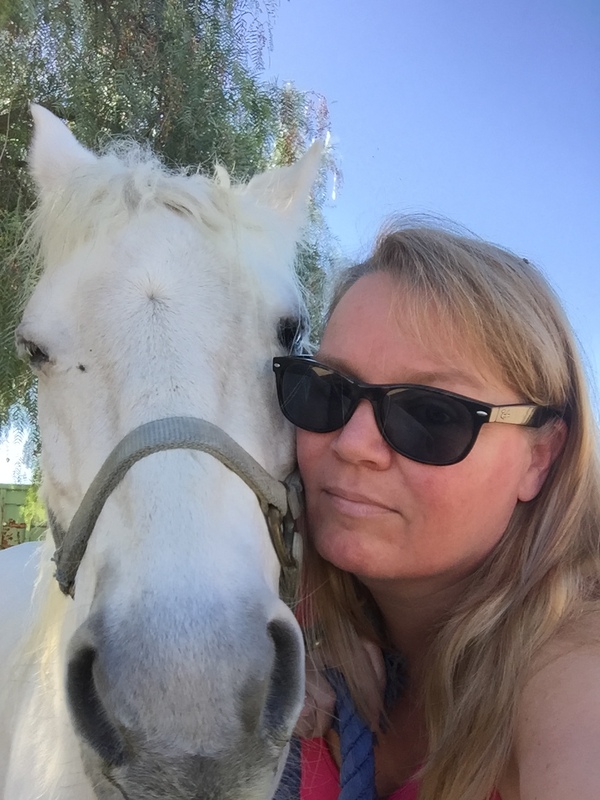 Now I’m loving life as a full-time romance author, but animals tend to find their way into my books to help bring couples their HEA, in the form of horses, dogs, and even a goose. Over the years, I’ve owned dogs, cats, horses, chickens, goats, you name it. Most of the animals were cast-offs from clients at the vet clinic or rescues from shelters. 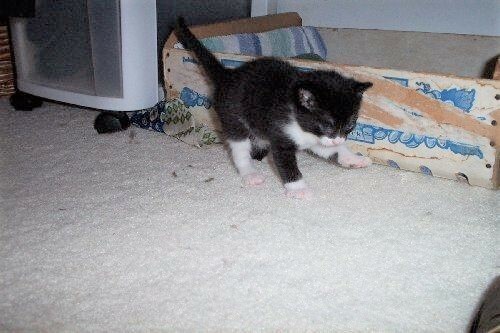 There was Misty, our black barn kitty who moved into our barn, young and pregnant. 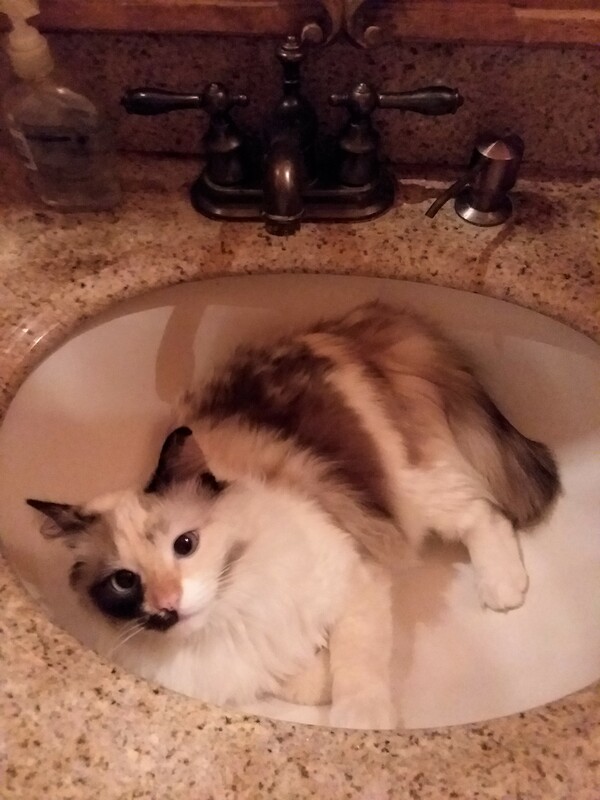 I had her spayed, and she decided she wanted to move in permanently. Then there was Wink, our one-eyed little rescue cat. Someone had dropped him off at the clinic when he was about four weeks old. He was covered in fleas and had a terrible eye infection and upper respiratory infection. He barely knew how to eat on his own. I cleaned him up, took him home, and got him healthy, except for his eye. It was unsalvageable, so we had to have it removed. Hence the name Wink, because he looked like he was always winking at someone. 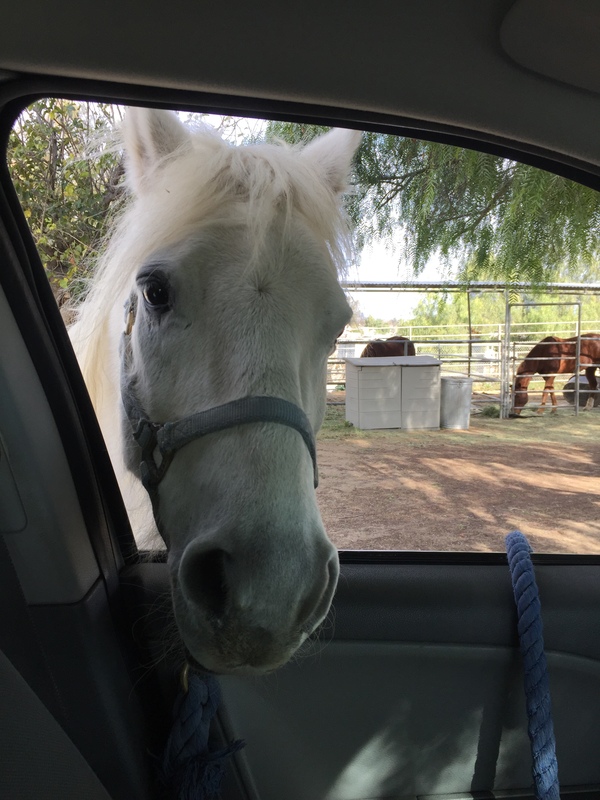 Most of my horses were racetrack cast-offs or kill-lot rescues. Due to life’s circumstances, I had to give up my animal lifestyle about a dozen years ago and drastically downsize (which meant that none of the ones that passed on were replaced). At the moment, I have only one cat and my welsh pony left. My other pets and horses have all passed away from old age. I’m a huge believer that pets are for life. 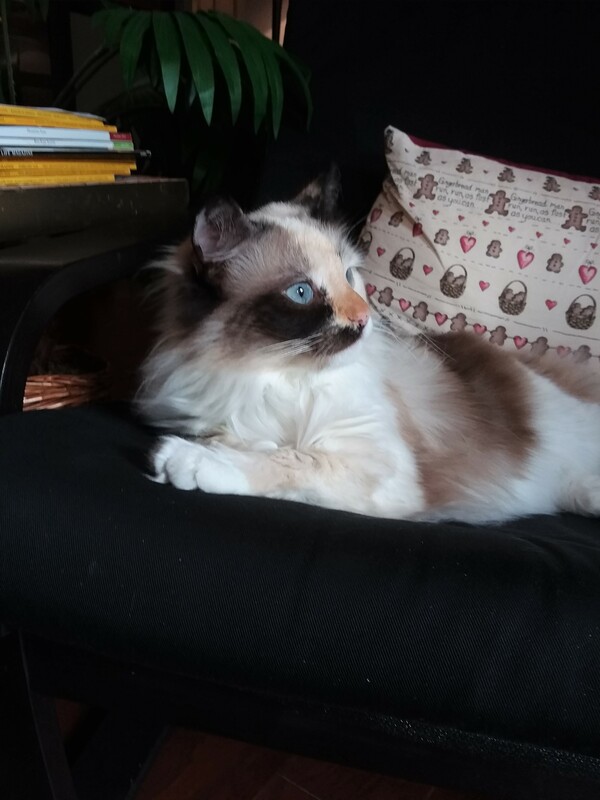 So, today, I want to give a special mention to my current fur baby, my cat Hissy, who is known on Facebook as the Writing Assistant. What kind of silly name is Hissy? Yes, there’s a story behind the name. One day, about seventeen years ago, I was out feeding the horses when I saw this beautiful calico cat wander through the yard. She was skinny, and obviously nursing kittens. She was shy at first, but when I brought out a can of tuna, she came running and was most grateful. She came around again the next day, and I saw a tiny orange furball kitten with her. Unfortunately, the little stinker would not let me get close to him. I talked to my neighbor, who told me the cat lived in her shed, and that two of her kittens had been taken by hawks. Right then, I made it my mission that this last kitten would not meet the same fate. Mama cat (who we named Minx, because I used to have a calico named Minx decades ago) was easy to catch. The kitten was a challenge. I had to go into the shed and all but remove most of the wooden floorboards to finally grab him. Boy, was he a feisty one. Hissing and spitting and showing me how tough he was. I brought him into the house to re-unite with his Mama, and for several weeks, no-one was able to get close to him. He would hiss and spit at anyone getting near his crate. My then 3-year-old son decided to call him Hissy. Weeks passed, and he finally decided that living in the house, getting fed, having a safe and warm place to sleep wasn’t such a bad deal, after all. 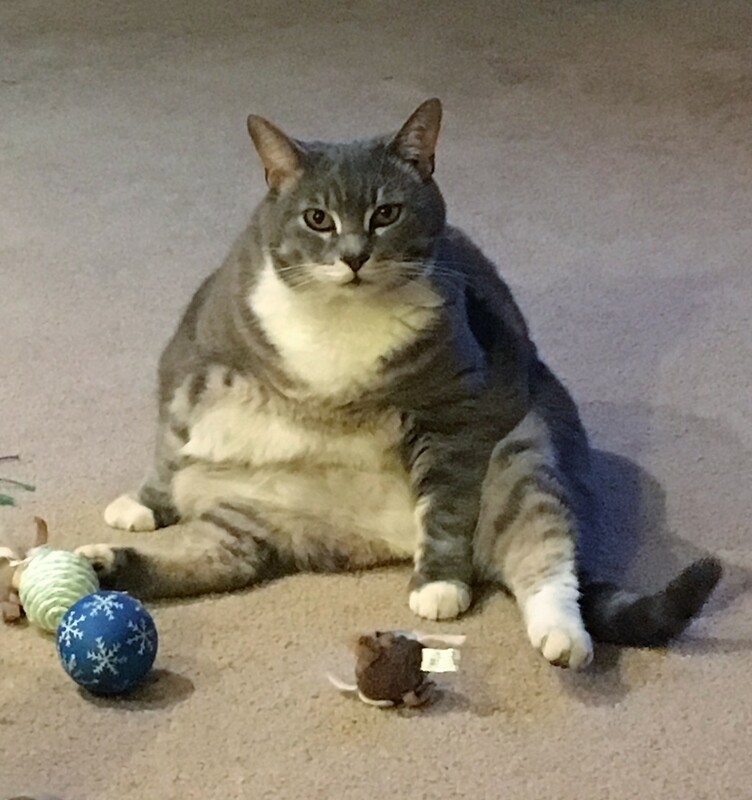 He became a lovable couch potato, but we never changed his name. Now, he’s my 17-year-old senior cat, the best cat I’ve ever owned. He’s never been a lap cat, but he loves sleeping next to me, either at night, or during the day when I’m working, typing away on the couch. 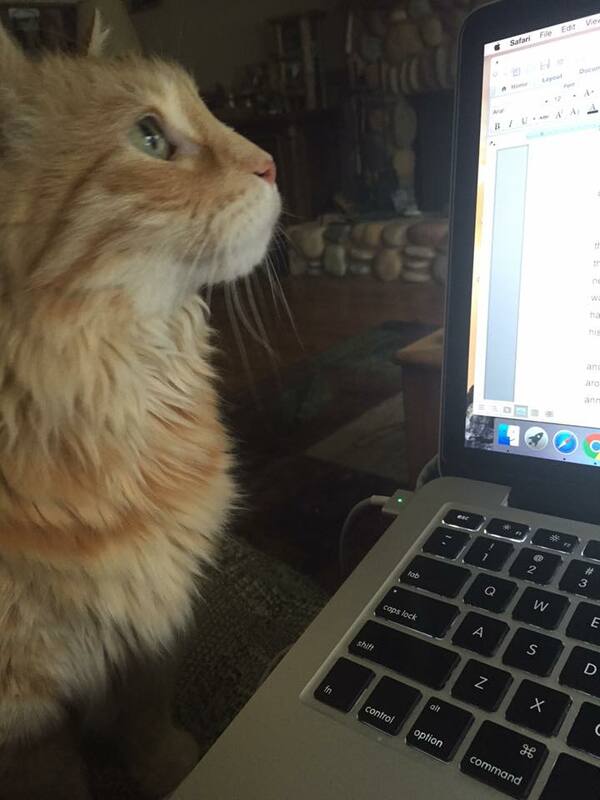 As I said before, he’s my “Writing Assistant” and his fans on Facebook love him. Last year he adjusted to living in an RV in Yellowstone for five months, and he will be going with us again in a couple of months when we leave for another season in the world’s first national park. He has feline diabetes that has been in remission for several years (crossing fingers it stays that way), and is in overall great health for his age. I can’t imagine life without him. Peggy L Henderson is an award-winning, best-selling western historical and time travel romance author of the Yellowstone Romance Series, Second Chances Time Travel Romance Series, Teton Romance Trilogy, and the Blemished Brides and Wilderness Brides Western Historical Romance Series. When she’s not writing about Yellowstone, the Tetons, or the old west, she’s out hiking the trails, spending time with her family and pets, or catching up on much-needed sleep. She is happily married to her high school sweetheart. Along with her husband and two sons, she divides her time between living in Southern California and Yellowstone National Park. Nurse and avid backpacker Aimee Donovan is offered the opportunity of a lifetime. She encounters a patient who tells her he is a time traveler and can send her two hundred years into the past to spend three months in the rugged Yellowstone wilderness at the dawn of the mountain man era. The only requirement: she cannot tell anyone that she’s from the future. Aimee smiled sweetly. He could ask her all he wanted about bison. This was basic junior ranger stuff to her. How many countless ranger-led hikes had she gone on in her life? And a favorite topic of discussion on those hikes had often been bison. She could practically lead one of these bison talks herself. She had to admit, though, that her guide this time was far more interesting than any ranger she’d met in modern times. He studied her for a moment with that intense look of his. “Where would you expect to find berries here?” he asked, rather than answer her question. Daniel pointed out some strawberry patches on the ground, and huckleberry bushes among the thickets. She moved eagerly in their direction, when he took hold of her arm and pulled her back. She turned her head, and raised her eyebrows in a silent question. “Bears, remember?” he warned. He scanned the area for a moment, and inhaled deeply. “Often, you can smell a bear before you see him,” he explained. “What do bears smell like?” She recalled the death and decay smell of the elk carcass, but she couldn’t remember now if the bear smelled like rotten meat as well, or just the air around him. “Sweet?” she asked. He nodded. “Ew. Okay. Kind of like dogs. They do that, too.” She took a deep breath, but all she smelled was the pine scent of the forest. “What else?” she asked eagerly. She closed her eyes and inhaled. The tranquil sounds of the forest birds, the smell of fresh pine and musty earth, even the distinctive cow scent left behind by the bison, and the rushing sound of the breeze through the tops of the tall lodgepole pines, all had an intoxicating effect on her. “I hear the wind and birds,” she said softly. “What kind of birds?” Daniel prodded. She opened her eyes. In front of her, Daniel stared intently at her face. Her heart skipped a beat. “Is it safe now?” she whispered. Was he going to answer? She shifted her weight nervously. His intense eyes drove straight to her heart. She couldn’t read his expression, but she wasn’t about to back down and be the first to look away. Finally, he cleared his throat. “There is no bear here,” he answered, his voice sounding a bit raspy. He motioned with his chin to the berry patches. Daniel stood off to the side while she ate her fill, and casually popped a few berries in his mouth from time to time. He was like a security guard – constantly trained on her to make sure she didn’t make a wrong move. She tried to ignore him and concentrate on her task, but his eyes seemed to reach straight into her. Her skin tingled all over. “Okay, I think I have enough,” Aimee said after her pack was rather full. She wished he would catch her double meaning. She’d definitely had enough of his continuous perusal, and was ready for a diversion. Daniel turned and led the way out of the forest. “The last time I ate pie was in Philadelphia seven years ago,” he said wistfully when the trail widened and they walked side by side. Aimee was surprised he volunteered this information. For the better part of the morning, Daniel led her through the forest. He showed her how to read different tracks, signs to look out for that an animal had been in the area, where to look for edible roots and plants, and how to watch the skies for changes in the weather. Along with the berries, she filled her backpack with mint, wild onions, licorice, and various other roots and plants. She listened attentively as she tried to absorb everything Daniel told her. Some things she already knew, others were completely new to her. The subtle animal signs he picked up on astounded her. Silently, he had pointed out a black bear sow and her twin cubs in the distance, a moose in the thickets that she would have completely overlooked, and countless other smaller animals. He knew which critter made every track they came upon. He read the forest for information as someone in her time would read a newspaper. It was most refreshing to get a glimpse of this wilderness that she loved so much in her time from this man who carved out a living here. Aimee savored the beauty of her surroundings. Aspen trees grew in abundance. Beaver lodges lined the banks along streams, and countless otters played in the waters. With the coming of the fur trappers to these mountains within a decade of this time, the beaver would be trapped to near extinction. Wolves would be hunted until none remained, and without this predator, the elk would take over, and cause the destruction of the aspen from overgrazing. This was a Yellowstone unfamiliar to her, but it was as nature had intended before the encroachment of man. Despite the differences, the landscape still held a certain familiarity, and she realized Daniel was leading them back in the direction of the cabin sometime in the early afternoon. Her foot throbbed with every step she took, but today was one of the best days of her life. The raw, undisturbed landscape exhilarated her. No other hikers, no roads. Just me and this gorgeous backwoodsman. Thanks for stopping by! Please leave Peggy a comment.